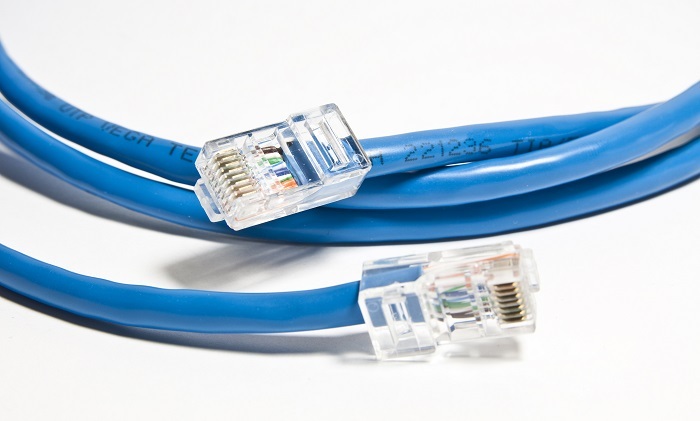 Copper twisted-pair lines have been in use since the early days of telephony for connecting telephone subscribers to the local exchange. Traditional telephony, also known as POTS (Plain Old Telephony Service) used analog signals in the spectrum of up to 4 kHz. The first Digital Subscriber Line (DSL) technologies were introduced in the 1990s and were aimed at utilizing the same copper lines for delivering broadband services to the subscribers. This was achieved by transmitting digital signals and using a significantly wider spectrum. Variations of DSL have been named xDSL. The early ADSL technology used the spectrum range up to 1.1 MHz and was capable of delivering data rates of up to 8 Mbit/s downstream and up to 1 Mbit/s upstream. The more recent ADSL2Plus uses up to 2.2 MHz and can deliver up to 24 Mbit/s downstream and 3.5 Mbit/s upstream. The spectrum is split between the downstream and the upstream, and its lower end is reserved for traditional POTS services or in some countries for ISDN. In recent years service providers have "shortened" their copper loops from several kilometers to hundreds of meters by deploying fiber-fed outdoor cabinets. Delivering the services from these cabinets made room for the VDSL2 technology, which can deliver up to 100 Mbit/s symmetrical over these shorter loops by utilizing the spectrum up to 35 MHz. The new G.fast technology is aimed at breaking new throughput records by delivering up to 2 Gbit/s over copper loops of up to 250 meters. It is intended for the Fiber-to-the-Distribution-Point (FTTdp) topology, in which the copper complements the fiber in the very last section of the network. Copper lines are still the most widely deployed infrastructure in the access network, being a valuable asset and a milking cow for service providers. In parallel with the newer xDSL technologies, new solutions have been introduced over the years to make better utilization of copper lines. This includes bonding, which allows the use of multiple copper pairs for increasing the rate and reach; improved impulse noise protection (G.INP), which enhances the immunity to impulse noise and allows the delivery of IPTV over xDSL; and vectoring, which reduces the crosstalk among multiple lines in the same cable bundle by correlating their transmissions.